Homeowners can use a new crowdfunder to sell equity in their homes for cash. The startup anticipates creating a secondary market for equity in owner-occupied properties. The company is seeking to bypass securities laws that have traditionally restricted real estate crowdfunding. Although real estate crowdfunders typically only enable wealthy individuals to buy shares of investment properties, a new startup is peddling stakes of owner-occupied properties to investors of all income levels. Homeowners who want to tap their properties for cash typically must take out a loan in the form of a home equity line of credit (HELOC), cash-back refinance or reverse mortgage. Dwellxchange is the latest startup to tout a debt-free alternative. 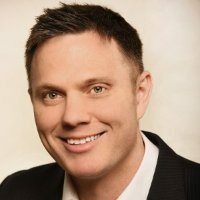 Headed up by a serial entrepreneur who previously helped oversee real estate auction marketplace Hubzu and discount brokerage Owners.com, Dwellxchange has introduced a marketplace where homeowners can sell ownership interests in their properties to third-party investors. The firm puts a new spin on real estate crowdfunding. The startup is seeking to bypass security laws that have traditionally restricted real estate crowdfunders, and it remains to be seen how regulators will respond to the company’s business model. Homeowners can post property details, photos and the size of their equity offering on Dwellxchange. Every offering must exceed the size of the homeowner’s mortgage, which must be paid off by the homeowner upon receipt of investors’ funds. Investors can buy shares of a property listed on Dwellxchange for as little as $5,000. Once an offering is fully funded, Dwellxchange shepherds the transaction to closing. “We standardize all the contracts and forms,” said Eric Eckardt, a serial entrepreneur who recently left Altisource (owner of online real estate auction site Hubzu and discount brokerage Owners.com) to found Dwellxchange. Eckardt envisions investors realizing returns in two ways: either by receiving funds after a home sells — or, in the future, by bidding out their ownership interests on a secondary market. If a property partly owned by Dwellxchange investors sells for more than the property was valued at when those investors originally purchased some of its equity, the investors will get back their initial investment along with a portion of the amount by which the home’s value has appreciated. Many investors might be reluctant to buy stakes in properties if that means locking up their money for an unknown period of time. Investors often want the option to the liquidate their positions, or at least have a sense of when they can expect to realize returns. Dwellxchange plans to add liquidity to shared equity by erecting a secondary marketplace where investors can trade their ownership interests. Another concern investors might have about buying equity in other people’s property is the possibility that property owners might neglect their homes or fall into foreclosure. Dwellxchange mitigates risks to investors by requiring a homeowner to use a portion of the funds they receive from investors to pay off their mortgage, removing a lender — and the threat of foreclosure by a lender — from the equation. Dwellxchange also protects investors from other contingencies. If a homeowner is foreclosed on for not paying property taxes, for example, investors might be able to gain a more favorable equity position in the property or even take full ownership of it, according to Eckardt. Dwellxchange anticipates attracting a wide range of homeowners, including distressed borrowers — such as those in default or foreclosure — seeking to hold on to their homes and homeowners who can’t qualify for refinances, HELOCs or reverse mortgages. At least one other firm has envisioned a similar marketplace. But years after announcing plans to create an exchange where investors could trade slices of owner-occupied properties, PRIMARQ has made minimal progress, successfully facilitating just a few transactions. That’s largely because some of PRIMARQ’s funding has fallen through, some former employees have left to found businesses similar to PRIMARQ, and because Steven Cinelli, founder and CEO at PRIMARQ, has been partly sidelined by medical issues, Cinelli said. But PRIMARQ hasn’t given up. 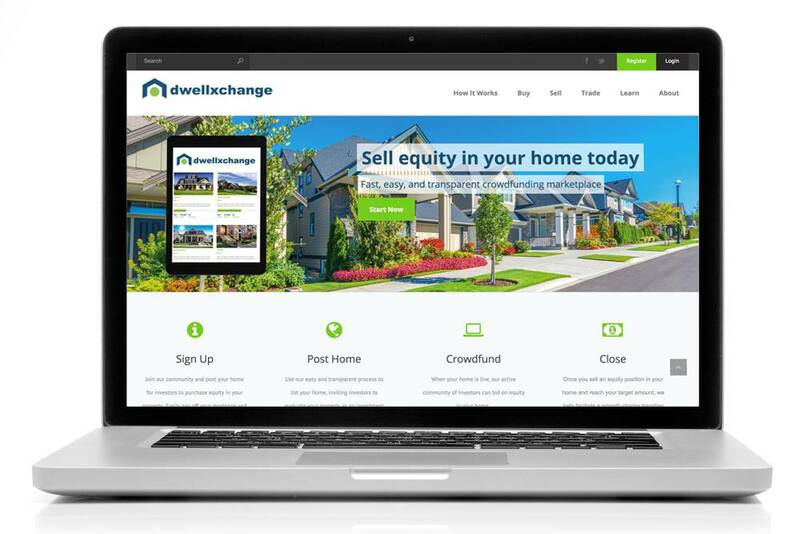 It plans to relaunch with a new brand within 45 days, meaning Dwellxchange can expect competition. Real estate crowdfunders like Fundrise and RealtyMogul have gained traction by allowing investors to buy slices of investment properties, including rental properties and homes that will be flipped. Dwellxchange stands out because its wants to apply the same concept to owner-occupied properties. Real estate crowdfunders also typically only allow accredited investors — people who make at least $200,000 a year or are worth more than $1 million, not including the value of their primary residence — to buy into their offerings. They typically find selling securities to non-accredited investors to be cost-prohibitive due to regulatory requirements. Eckardt says Dwellxchange is bypassing some regulatory hurdles by selling direct ownership interests in properties to investors, not securities tied to property equity or debt that are subject to stricter regulations. In Dwellxchange-facilitated deals, investors contribute to a trust that is added to the actual deed of the property, he said. Georgia Quinn, an attorney who specializes in compliance with security laws governing crowdfunding, is skeptical that a company using a crowdfunding model like Dwellxchange’s will have all its legal bases covered, however. Properties may not be considered securities, she said, but trusts with multiple owners are. Only if the individual names of every investor who purchases a slice of an equity offering were added to the property’s deed would the offering sidestep security laws, she contends. Eckardt has founded a number of other startups in addition to Dwellxchange, including a mortgage company and a crowdfunder. Editor’s note: This article has been updated to correct that Georgia Quinn was skeptical that a company using a crowdfunding model like Dwellrxchange’s would have all its legal bases covered. She did not say she was skeptical that Dwellrxchange itself would have all its legal bases covered. This story has also been updated with additional comments from Quinn to clarify that trusts with multiple owners are considered securities. Trusts with just one owner, Quinn told Inman, are not considered securities.